Big pharmaceutical companies continue to profit from skyrocketing medication prices, and it looks like Tylenol is ready to strike while the iron is hot: Tylenol has announced that they’re going to try jacking up its price to $1,000 a pill the same way other drugs do and see if people keep buying it. Wow. 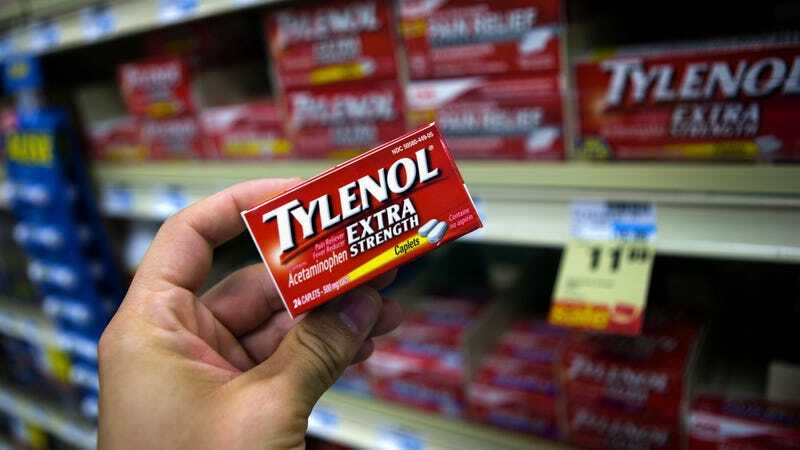 This is definitely a bold move from Tylenol, but from where they’re sitting, it seems like there’s no huge downside to at least taking a crack at it. At a press conference called to announce what the company is describing as a “low-risk, high-reward shot at making some real dough,” Tylenol detailed their plan to charge $1,000 per pain-relieving pill to feel out if people would actually pay that much for basic headache medicine, and if it turns out that no one does, no harm, no foul. This is definitely a bold move. It looks like Tylenol is about to become totally unaffordable for regular people, but with today’s prescription drug prices going completely off the rails, you can’t really blame them for trying to get a piece of the action. It’ll be interesting to see whether their big swing pays off!